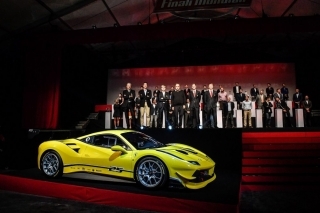 Maranello, 22 December 2016 – Eighteen circuits on three continents will host the 25th year of the Ferrari Challenge Trofeo Pirelli, which in the 488 Challenge will boast the big new development of the season. The car for the one-make series, unveiled at the Finali Mondiali in Daytona, promises to be a huge step forward in every respect, from the turbo engine, to the gearbox, to the aerodynamics and technological equipment. Challenge APAC. The Trofeo Pirelli Asia Pacific will be the first series to fire its engines, beginning 6 to 8 April in Abu Dhabi, which hosted the 2014 Finali Mondiali and was also on last year’s calendar. The next event will coincide with the first Ferrari Racing Days of the season, held as usual in Shanghai from 27 to 29 May. June (9-11) will see the turn the Zhejiang circuit in eastern China. This track has just been built and comes with all the latest equipment. Going from a completely new track to a great tradition, Fuji in Japan will host the championship on the weekend of 7 to 9 July. After the summer holidays the Challenge APAC will resume at Sepang, Malaysia from 25 to 27 August, while the last event before the Finali Mondiali at Mugello will take to the track from 6 to 8 October in Imola, on the circuit named after Enzo e Dino Ferrari. North America. The Ferrari Challenge North America will start on 12 to 14 May at Laguna Seca, one of the world’s most famous tracks, with the characteristic “Corkscrew” bend which over the years has become famous for overtaking, involving such drivers as Alessandro Zanardi against Brian Herta in Formula CART in 1996, and Valentino Rossi against Casey Stoner 12 years later in MotoGP. From 9 to 11 June there will be the classical conjunction with the Canadian Formula 1 Grand Prix in Montreal, while the second Ferrari Racing Days of the season will be held from 14 to 16 July at Mosport Park, again in Canada. Another extraordinary venue of US motorsport, Road America, will offer excitement and spectacle when it hosts the series from 11 to 13 August, while in September (15-17) there will be a meeting in Austin, at the Circuit of the Americas, before a stop at Homestead from 29 September to 1 October. At that point the cars will leave for Mugello and the Finali Mondiali from 26 to 29 October. Europe. The Ferrari Challenge Europe will be the last series to start, with its 2017 season kicking off from 19 to 21 May at the Valencia circuit, in Spain. The second event will be at the Autodromo di Monza from 9 to 11 June, a key date because all three championships will be racing. The third weekend of the season from 23 to 25 June will be at the Hungaroring in Budapest, while in July (21-23) the cars of the Challenge will return to Le Castellet, France. After the holidays Silverstone from 22 to 24 September will host the third Ferrari Racing Days of the season. The final round before the Finali Mondiali will be a sort of general test for the event at the end of October at Mugello. 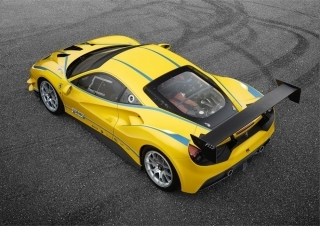 It will be held at Imola, in conjunction with the Ferrari Challenge APAC.